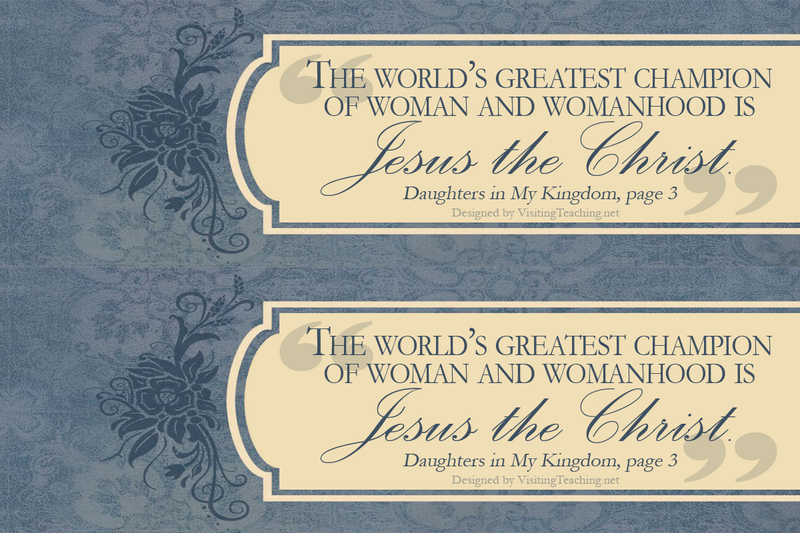 I’m now the education counselor for our ward’s Relief Society and have been asked to make sure we have enough of the new “Daughters in My Kingdom – The history and work of Relief Society” manuals, as well as make sure each sister gets one. Of course I did cute labels with the sisters names on them and put them on the books, making it easier for me to know who has gotten their manuals and who hasn’t gotten them. I also wanted to design a bookmark to go with the manual, cause just like each of you, I like to “make more work for myself.” Well, that’s what my hubby says. LOL I’m excited about reading it and wanted to do something to help us focus on the manual a little more. I designed these and used the manual cover art as a starting point, so they could match, and added the quote. I LOVE THEM!!! Anyways, once I got them printed, I knew I had to share them with all of you. It was hard trying to figure out what quote to use, because I wanted it to peak our interest but also say something amazing. Anyway, here’s the quote I picked out from the manual. I thought this was the perfect quote, RIGHT?! Enjoy. Click the image below to see the large image then just right click and download it to your computer. 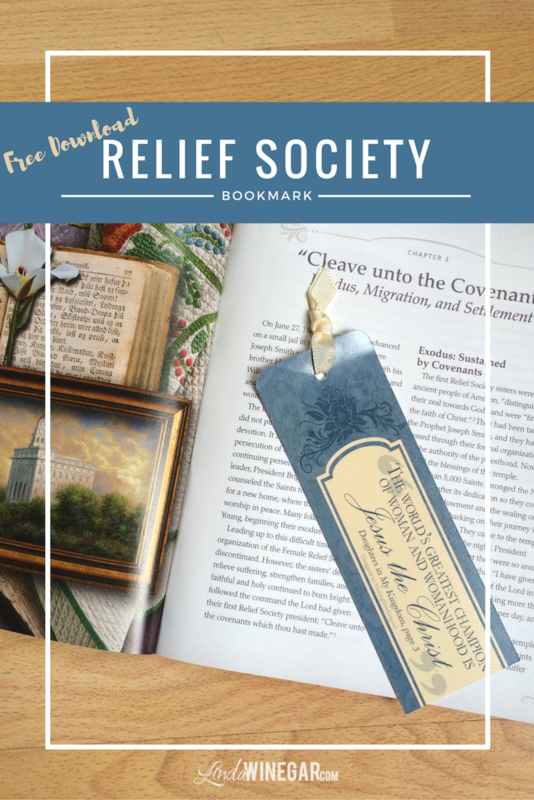 You can distribute them in Relief Society or even just print one for the sisters you Visit Teach or sisters you Home Teach. 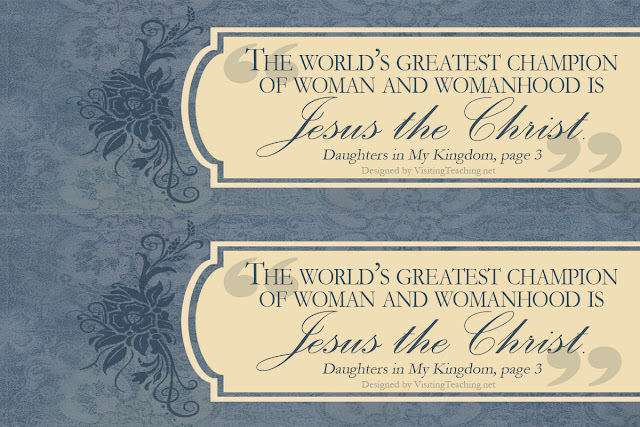 Every sister needs to know how Christ loves women. 1. Download the 4×6 JPG file. 2. Print in Color at your favorite photo printing store in 4×6. (i.e. costco, walmart, etc..) I printed on matte photo paper, choosing the glossy may be a little too shinny because of the possible fingerprints on them. 4. Optional: Round the corners, using a corner punch. 6. Optional: Put ribbon through. I didn’t choose to laminate them because they are very nice on the photo paper. You’ll see!